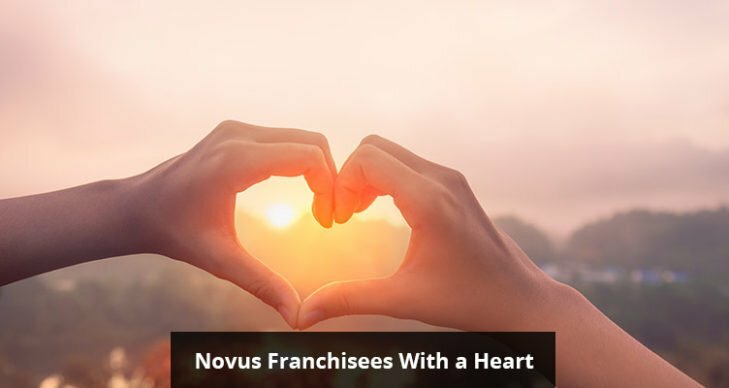 St. Paul, MN – NOVUS Glass franchisees and their families are part of their local communities. Their children go to the local schools, they are members of the local churches and gyms, and they shop in the local supermarkets. As business owners, the top-notch service they provide to their neighbors is a reflection of their values as community members. For some franchisees, these values include participation in community fundraising events. The Fritzes are proud to be able to help families in need and to make a difference in their community. They take similar pride in their business: “Our customers’ safety is our top priority, so when you come to us, you can expect the top-quality materials and the most skilled, highly trained professionals to ensure dependable service,” said Jeff. To schedule a service at NOVUS Glass of Roseburg, call 541-671-5897. Another NOVUS Glass franchisee couple, Steve and Dennie Moore, owners of the Avon, Colorado NOVUS Auto Glass business, also work with local nonprofit groups.In 2017, the Moore selected to work with two local nonprofits: Our Community Foundation and Small Champions.Our Community Foundation strengthens the local non-profit organizations who serve the residents of Eagle County, which includes connecting resources with issues and volunteers with projects. Small Champions provides sports and recreational opportunities for Eagle County youth with disabilities. “I’m grateful that for almost 35 years, trusted customers have built the success of NOVUS Auto Glass,” Moore added. “Dennie and I have been able to help local nonprofits every year that focus their efforts on the people who are our neighbors and friends. Moving forward, it is our hope that we inspire other local small business owners to consider doing the same and join the movement of paying it forward.” For a quote on auto glass service in Avon, call Steve Moore at 970-306-4403.